Little League umpires are often a mixed bag. They can be anyone from a high school student looking for some spending money during the summer, to an old player or coach looking for a way to stay around the game. This leads to a wild array of calls and reactions from the guys making the decisions and not all of them are always positive. However, sometimes the ump is just there to have fun. This ball is absolutely hammered and the ump needed to make sure everyone knew this. It was a perfect reaction too. It wasn't really disrespectful to the opposing players, but it was a lot of fun for the players on the batting team. It's also not much different from the normal umpire home run call where he spins his finger in a circle. 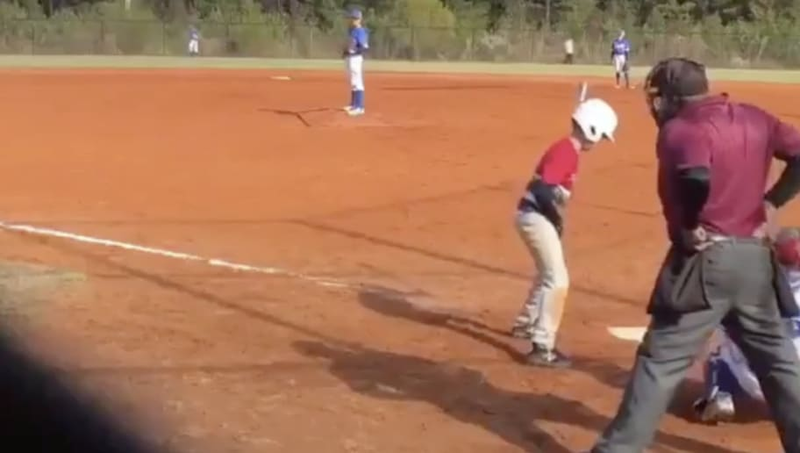 Hitting a home run in Little League is often a once-in-a-lifetime experience, so luckily he'll always have the perfect victory celebration to accompany the memory. Even if that celebration wound up coming from the umpire behind home plate.